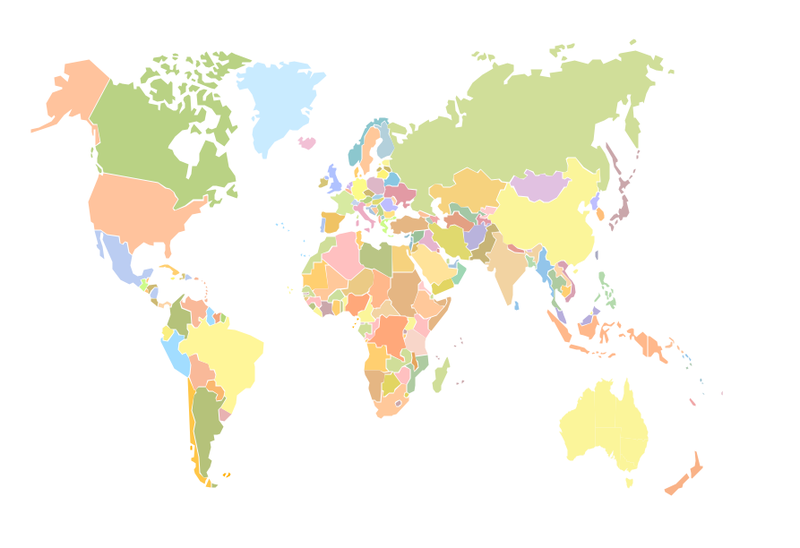 This example shows the outline of the World Map. It was created in ConceptDraw DIAGRAM diagramming and vector drawing software using the Continent Maps Solution from the Maps area of ConceptDraw Solution Park. Use the ready-to-use predesigned objects, templates and samples from the Continent Maps Solution for ConceptDraw DIAGRAM to create your own professional looking Geo Maps quick and easy. The Geo Maps produced with ConceptDraw DIAGRAM are vector graphic documents and are available for reviewing, modifying, and converting to a variety of formats (image, HTML, PDF file, MS PowerPoint Presentation, Adobe Flash or MS Visio). A continent is one of several very large landmasses on Earth. ConceptDraw DIAGRAM v12 diagramming and vector drawing software offers the unique Continent Maps Solution from the Maps Area which is indispensable for drawing the map of continents of the Earth. ConceptDraw DIAGRAM v12 is idea to draw the geological maps of World from the pre-designed vector geo map shapes. Geo Map Software - Full Geographic Reach of Your Business with Geo Map Shapes. ConceptDraw DIAGRAM v12 diagramming and vector drawing software enhanced with Continent Maps Solution from the Maps Area is the best for drawing geographic, topography, political, and many other kinds of maps for any of seven earth continents and also world continents map of any detailing. ConceptDraw DIAGRAM v12 is a world-class diagramming platform that lets you display, communicate, and present dynamically. It′s powerful enough to draw everything from basic flowcharts to complex engineering schematics. Video tutorials on ConceptDraw products. Try it today!